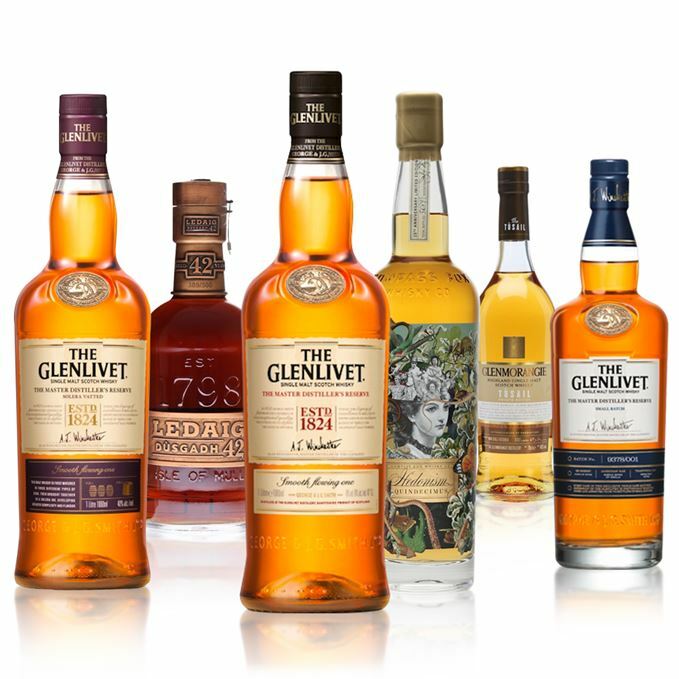 Dave Broom runs the rule over the latest batch of new releases, from a trio of Glenlivet travel retail exclusives to a commemorative Compass Box bottling and a confusingly named Glenmorangie. Quite broad with a little more nuttiness (oak and barley) than normal. There’s some punchy dried lemon peel and, in time, a gentle lusciousness of stewed fruits, apricot jam and that nutty oak. Water allows more fragrant notes to emerge. Smooth and pretty – which, after all, is what you expect from Glenlivet, which couldn’t be moody if it tried. There’s still this sweet fruitiness and a creamy note which almost teeters into being overly dominant. The apricots have now dried, there’s the nasal tang of orange peel and a crispness on the back palate. Malty nuttiness, and a little hint of spice. Here there’s a mix of refill and first-fill American oak and a little ex-Sherry cask being used. A cool, sunny, early September morning. In Scotland. The lightest of the trio and the most classically framed of the range, insofar as the floral and fruity characters which define the distillery are heightened. There’s also toffee apple (sweet but with a green core), fruit syrup and a little chalky dustiness. It has sweet substance. You dive straight into the heavy floral characters: jasmine and rose, as well as fresh orchard fruits. Medium weight and, yes, sweet, this is also pretty thick whisky just lacking a little bit in mid-palate development. 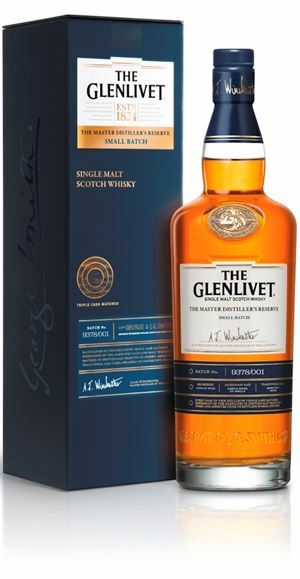 A Glenlivet matured in ex-Sherry, first fill American oak and refill which have been mingled in a solera vat. A pleasant dram which needs little more layering in the centre, but as the solera develops this will happen – look at Glenfiddich 15. An afternoon’s walk near Grasse. Mellow and more aromatic than the original MDR with dried pineapple, peach and some farmyard funkiness – rain-dampened hay, animal stalls – in the background. All this sits behind stewed rhubarb, light barley sugar and a predominant oloroso Sherry note in its pleasingly sweaty cheese rind/walnut/sultana guise. At the back palate there’s some After Eight mintiness. Slightly dumb at the start. You have to hold this in the mouth, then it begins to move into bracken, then light dried fruits and a light balancing bitterness and, just before it slips away, some oiliness. A smaller selection of individual casks are used here, but with the ex-Sherry having the upper hand. Better palate structure and a slight burliness. For me it’s at its best undiluted. Early evening tapas bar with a long night ahead. Dark and Sherried hue. A big, gentle, resinous nose, like being hugged by a bear halfway up a cedar tree. An almost meaty element comes through – smoked paprika and Serrano ham – before the evocative smell of freshly dubbined boots. In time, the gastronomic savoury element develops into roasted tomatoes with Sherry vinegar. An intriguing mix of the sweet and savoury, the elegant and the feral. Initially highly concentrated with a castoreum note alongside plump, dried fruits and a light touch of woodsmoke at the end. As it develops, there are touches of shoeshine stand and light, supple tannins. A big old bruiser which has real elegance. If this was a Sherried Japanese whisky it would be selling for three times the asking price. Grimm’s Fairy Tales transported to Alaska. In autumn. The night closing in. Luscious and sweet with pecan pie/peanut brittle, apricot stone and light oak. In time more fleshy fruits emerge alongside caramel toffee, vanilla ice cream and even some chocolate ganache. A jag of lemon/yuzu adds energy and lift. Adding some water shows hints of charred wood, travel sweets and mashed banana. Sensual and ripe with integrated oak. It has real weight and concentration, with subtle orange/mandarin peels, Bounty bar and honeycomb. Spices lurk on the back palate: mace, fragrant pepper. With water it becomes more expansive without losing its langorous stickiness. Can it really be 15 years since Compass Box began to shake up the whisky trade with its first whisky? This is reminiscent of a suitably hedonistic summer picnic and, once again, shows how great grain can be. Drowsy summer meadow. Listening to Virginia Astley’s From Gardens Where We Feel Secure. A surprising nose, which combines a distinct malty note, which is unusual for Glenmo’, with an almost briny aroma, both of which sit alongside the distillery’s usual tropical fruits. Think of it as a Glenmo’ shrub and you’ll not be far off. Orange compote, some rich oak, then grapefruit. The start is clean and opens out into an intriguing mid-palate of grippy oak, spice, barley and a fizzing physicality on the back palate which ushers in a lot of sweet spice. Water makes it fuller – much richer than the nose suggests. The grapefruit is now more lemony, providing a balancing, clean acidity. It needs time – and a little water – to show its full complexities. This is the sixth of Glenmo’s ‘Private Edition’ series and is made using floor-malted Maris Otter barley. It is bottled without chill filtration. It’s also a whisky which raises an interesting philosophical point. According to my Gaelic dictionary, Tusail means Original which – if true – is confusing to Gaelic speakers since there is already a Glenmorangie Original. While I’m sure that one can be original more than once, can that originality be called “Original’ in both cases? I need a drink. Sunny afternoon, with the Kinks' song of the same name in the foreground. Batch 2 21/08/2015 From Jura to Dalmore via Islay and Oban, six more new whiskies get the Dave Broom tasting treatment.